This is the full speech given by Wigan MP Lisa Nandy at a Resolution Foundation event alongside Unite general secretary Len McCluskey and ex-transport secretary Lord Adonis. Clement Attlee is one of those rare things – a Labour prime minister which every faction of the party wants to claim for their own. For that reason alone his legacy is much misunderstood. But the comparison the Resolution Foundation seeks to draw is a fair one, because the challenge facing us now is comparable, in scale at least, to the challenge facing Attlee in 1945. I see weekly in my surgeries how our failure to grapple with major trends – an ageing population, rapid technological change, climate change, growth that is neither inclusive, fair nor sustainable – manifests itself in problems of loneliness and mental health, older people without help at home, children struggling to breathe and daily grinding poverty. Little wonder that we’ve seen polarisation, anger and a dramatic rise in nationalism. And that’s before you consider Brexit. A political earthquake that should have sparked a fundamental re-imagining of modern Britain instead prompted a technocratic, jingoistic response that spectacularly misses the point. Brexit highlighted a national schism, a deep division about our role in the world and the sort of country we want to be, that has to be reconciled. But while the response needed to surmount this is comparable to the effort it took to rebuild Britain after the Second World War, there has never been a time, in my lifetime, when it felt we were collectively less equipped for the challenge. Politics has never felt more partisan, between and within the parties. “If you begin to consider yourself solely responsible to a political party, Attlee warned, you’re halfway to a dictatorship”. It has left us with a politics that is tribal, angry and as a consequence trapped defending thinking that outlived its usefulness 10, 20, 30 years ago. A political culture which pretends the world is black and white will never be able to build the consensus demanded of us. Most in Labour remember Attlee as the man who opposed Ramsay McDonald’s national coalition but we forget the Attlee, who played the key role in sustaining the war government and told us that “the foundation of democratic liberty is a willingness to believe that other people may perhaps be wiser than oneself”. His achievement, to build a socialist consensus that lasted across the political parties for decades, is virtually impossible to imagine emerging from our politics now. But Brexit demands precisely these same skills in our politics. Labour is – pulled in two directions, representing some of the strongest remain and leave areas in the country. But our dilemma mirrors the country’s dilemma. A weakness that could be our strength. Because consider what Remain-voting Tottenham and Leave-voting Wigan – divided by age, diversity, social attitudes and Brexit – have in common: Labour. Our ability to build consensus has never been more critical. In this Age of Anger it isn’t sufficient to pick a side, to label people thick or racist, or liberal elites and wilfully close your eyes and ears to the reality of life for a group of people you neither know nor understand. Nor is it morally acceptable, on left or right, to stoke that genuine sense of anger without giving it a clear route to something better. That’s the message from towns like mine. Because if this is supposed to be a working-class revolution, the lesson of the last 15 years is, it isn’t working. Last year’s election, in a trend that has been a long time coming, marked our worst ever showing in towns like Mansfield. Class politics, as the academic Rob Ford said, has turned on its head. While our biggest gains came in areas of economic growth, it is shocking that after seven years of austerity, the biggest losses were felt in areas of economic decline. We should be proud that where people already have some hope, they’re turning to us, the ambitious optimistic party. But we should be deeply worried that where they there is despair, they’re turning away. So credit to a newly invigorated Labour Party for remembering again in recent years how to speak with the courage of our convictions and wear our values on our sleeve – even when it’s hard. But while we owe a debt to the authors of Labour’s manifesto for putting together a programme in a matter of days that explained not just what but why, I don’t believe we’ll be allowed again to go before the country without a compelling story about economic justice, concrete plans for social care, or with plans for welfare reform that, as the Fabians pointed out, push more children into poverty. Attlee was right to say “you will be judged by what you succeed at (gentlemen) not by what you attempt”. So it’s in that spirit that I say one last heave won’t do. The political map is being redrawn. As we showed recently at the Centre for Towns, our changing age demographics are turning villages overwhelmingly blue and cities the deepest red. Towns are now the key battleground. So a model of growth based around cities, with towns at best pulled along in their prosperous wake, is no longer sustainable. And an economy that has delivered 40 per cent of income growth to the richest 10th of households, it won’t do. So often our systems pit the working and middle classes against each other, as our angry debate about tuition fees and early years spending demonstrates. But with both losing out, instead of picking a side we need to explain how we will change the system. And that means confronting the economy as it is now, not as it was in the 1990s or 1970s. While we rightly seek public ownership of assets like our railways and postal services we’ve missed the fact that the world’s most powerful commodity – data – is a servant to profit not the public good. Just five internet companies control almost all the world’s data. Without a progressive, thinking government, evolving tech will concentrate power when it should be a powerful tool to disperse it. That’s the thread that links all of this together: power. There is a reason why take back control caught the public mood. If Labour wrongly continues to see our purpose as simply redistributing wealth, we will never meet the expectations of us. Our job is to restore power in its widest sense to those who rightly own it. It is not easy. Attlee’s government came to power in an age of solidarity, forged in factories and at the front, when the working class was larger and our trade unions stronger. Like now it was a moment amenable to change. But ask yourself, where does agency lie now, when trust in politics has collapsed and those collective institutions are historically weak? It lies in active citizens and change that is negotiated not imposed through a state that acts to resource, legitimatise and build civic power, and is unafraid to share it. That settlement has to be built in a context makes sense to people today – even more collaborative and plural than then, when the politics of the Attlee government was shaped and informed by those great Liberals, Keynes and Beveridge. It’s a politics that is completely at odds with where we are. If we’ve learnt one thing in recent years it’s that progress is not inevitable. It can’t endure when we are afraid but it thrives in a confident, empowered society. Just as improving material conditions for people was a central task for the Attlee government, it will be ours. But as Attlee said “socialists are not concerned solely with material things. They do not think of human beings as a herd to be fed and watered and kept in security. They think of them as individuals co-operating together to make a fine collective life. For this reason socialism is a more exacting creed than that of its competitors. It does not demand submission and acquiescence, but active and constant participation in common activities”. The public have already understood this. So must we. 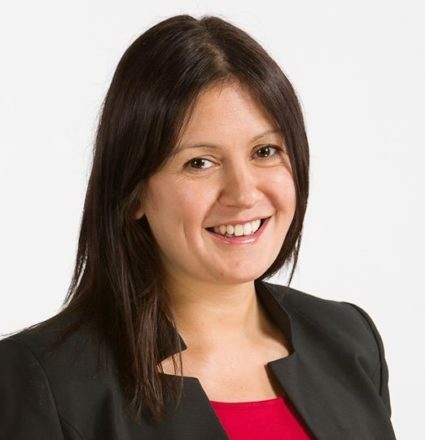 Lisa Nandy is MP for Wigan and co-founder of Centre for Towns.